AAU students with Whiz Kids team after Training. Whiz Kids Workshop has taken another step on Healthy Whiz Kids Initiative which aims at addressing the lack of proper health education among children through the upcoming season of Tsehai. 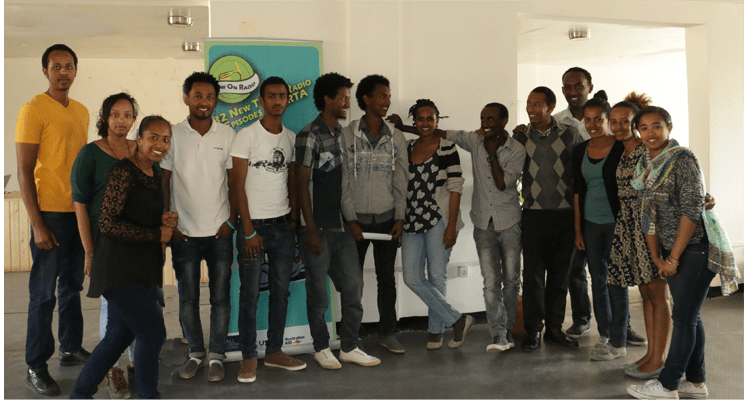 From 17th to 19th March 2015, Whiz Kids Team in collaboration with Blue Butterfly Collaborative trained 11 Addis Ababa University Social Work 4th year students in Data Collection Process. The task will require the data collectors to conduct a baseline survey on assessing the impact of the upcoming Healthy Whiz Kids season on Tsehai Loves Learning Show in different primary schools in Ethiopia. This will be followed by an end line assessment which will be conducted after completing the baseline survey in three months time. We believe we have a key role to play in transforming health education for children in Ethiopia. Healthy Whiz Kids is fully funded by USAID.